Adobe (Nasdaq:ADBE) today announced it has entered into a definitive agreement to acquire TubeMogul (Nasdaq: TUBE) for approximately $540 million net of debt and cash. Under the terms of the agreement, Adobe will commence a cash tender offer to acquire all of the outstanding common stock of TubeMogul for $14 per share. TubeMogul is a leader in video advertising, with a single platform that enables brands and agencies to plan and buy video advertising across desktops, mobile, streaming devices and TVs. Adobe Marketing Cloud is the world’s most comprehensive and integrated solution for delivering exceptional digital experiences. Adobe’s acquisition of TubeMogul will create the first end-to-end independent advertising and data management solution that spans TV and digital formats, simplifying what has been a complex and fragmented process for the world’s biggest brands. Video consumption is exploding across all devices and video advertising is the fastest growing advertising category. Adobe is the leader in video content creation and delivery with its Premiere Pro CC and Primetime solutions. Adobe’s acquisition of TubeMogul will enable brands to capitalize on the meteoric shift to online video. 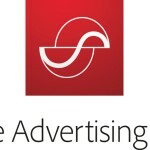 The acquisition of TubeMogul further strengthens Adobe’s leadership in digital marketing and advertising technology. Building upon its expertise in search, display and social advertising planning and delivery with Adobe Media Optimizer, the addition of TubeMogul will enable Adobe’s customers to maximize their video advertising investments across desktop, mobile, streaming devices and TV. TubeMogul’s video advertising platform, combined with Adobe Marketing Cloud, will give customers access to first-party data and measurement capabilities from Adobe Audience Manager (Adobe’s data management platform) and Adobe Analytics respectively. TubeMogul is a video demand-side platform (DSP) leader according to Forrester Research in its Q4 2015 Forrester Wave™ Video Advertising Demand Side Platform report. Adobe and TubeMogul share a long list of joint customers that will benefit from the integration of TubeMogul into Marketing Cloud solutions. Joint customers include Allstate, Johnson & Johnson, Kraft, Liberty Mutual, L’Oréal, Nickelodeon and Southwest Airlines. The transaction, which is expected to close during the first quarter of Adobe’s 2017 fiscal year, is subject to customary closing conditions. The potential financial impact to Adobe of this transaction is not reflected in financial targets previously provided by Adobe. Until the transaction closes, each company will continue to operate independently. Assuming the completion of the transaction, Adobe believes the acquisition of TubeMogul will be neutral to Adobe’s non-GAAP earnings in fiscal year 2017. Due to the absence at this time of certain acquisition-related cost estimates and purchase price accounting, Adobe is currently unable to provide an estimated impact on future GAAP earnings. This press release includes forward-looking statements, within the meaning of the Private Securities Litigation Reform Act of 1995, that are subject to risks, uncertainties and other factors, including risks and uncertainties related to Adobe’s ability to integrate TubeMogul’s technology into Adobe Marketing Cloud. All statements other than statements of historical fact are statements that could be deemed forward-looking statements, including statements regarding: the ability of Adobe to extend its leadership in digital marketing and other anticipated benefits of the transaction to Adobe and to the combined companies; the effectiveness of TubeMogul technology; potential benefits of the transaction to Adobe and TubeMogul customers, the ability of Adobe and TubeMogul to close the announced transaction; the possibility that the closing of the transaction may be delayed; any statements of expectation or belief; and any statements of assumptions underlying any of the foregoing. These risks, uncertainties and other factors, and the general risks associated with Adobe’s and TubeMogul’s business, could cause actual results to differ materially from those referred to in the forward-looking statements. The reader is cautioned not to rely on these forward-looking statements. All forward-looking statements are based on information currently available to Adobe and are qualified in their entirety by this cautionary statement. For a discussion of these and other risks and uncertainties, individuals should refer to Adobe’s and TubeMogul’s SEC filings. Adobe does not assume any obligation to update any such forward-looking statements or other statements included in this press release. In connection with the proposed acquisition, Adobe will commence a tender offer for the outstanding shares of TubeMogul. The tender offer has not yet commenced. This document is for informational purposes only and is neither an offer to purchase nor a solicitation of an offer to sell shares of TubeMogul, nor is it a substitute for the tender offer materials that Adobe and its acquisition subsidiary will file with the SEC upon commencement of the tender offer. At the time the tender is commenced, Adobe and its acquisition subsidiary will file tender offer materials on Schedule TO, and TubeMogul will file a Solicitation/Recommendation Statement on Schedule 14D-9 with the SEC with respect to the tender offer. The tender offer materials (including an Offer to Purchase, a related Letter of Transmittal and certain other tender offer documents) and the Solicitation/Recommendation Statement will contain important information. Holders of shares of TubeMogul are urged to read these documents when they become available because they will contain important information that holders of TubeMogul securities should consider before making any decision regarding tendering their securities. The Offer to Purchase, the related Letter of Transmittal and certain other tender offer documents, as well as the Solicitation/Recommendation Statement, will be made available to all holders of shares of TubeMogul at no expense to them. The tender offer materials and the Solicitation/Recommendation Statement will be made available for free at the SEC’s web site at www.sec.gov. 2016 Adobe Systems Incorporated. All rights reserved. Adobe and the Adobe logo are either registered trademarks or trademarks of Adobe Systems Incorporated in the United States and/or other countries. All other trademarks are the property of their respective owners. TubeMogul and the TubeMogul logo are trademarks or registered trademarks of TubeMogul, Inc. in the United States and other countries.